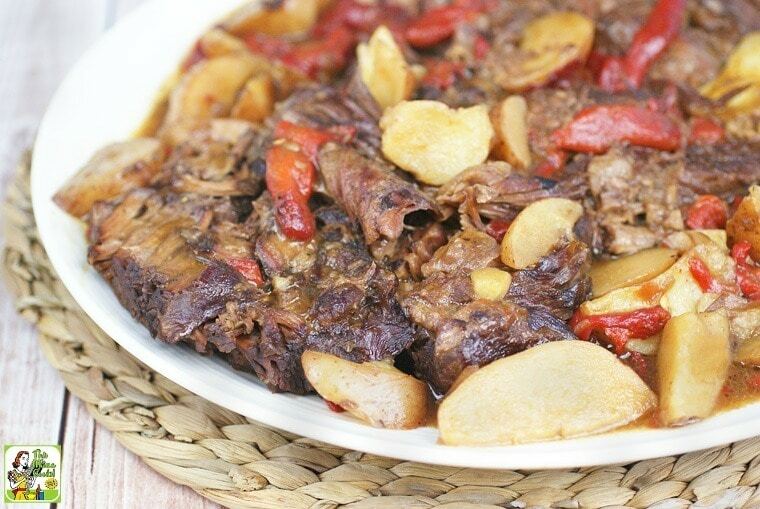 When I came up with this Gluten Free Slow Cooker Pot Roast recipe it was because I had made a Mississippi Pot Roast on the urging of friends. 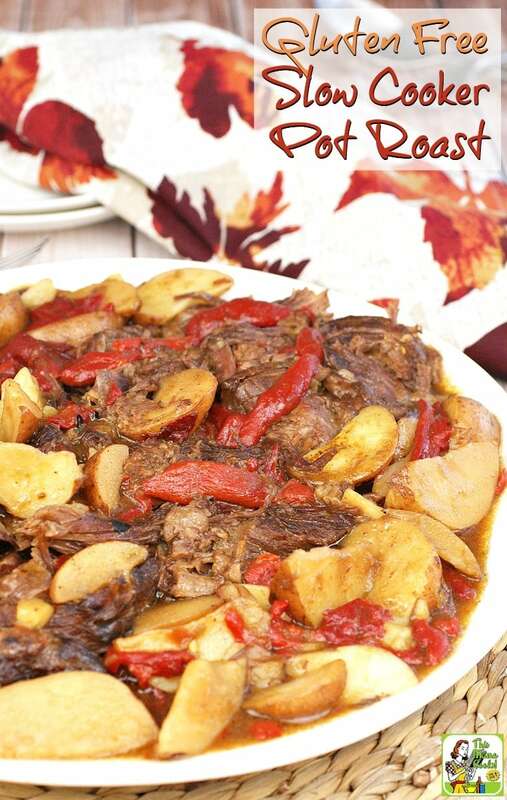 Have you tried this popular slow cooker beef pot roast recipe yet? You take a beef chuck roast, and dump it a crock-pot along with a packet of gravy mix, a packet of ranch salad mix, a stick of butter, and some pepperoncini peppers. Then you cook it for 8 hours. I tried making a Mississippi and immediately saw why everyone says it’s just the best slow cooker pot roast recipe. It’s certainly delicious, but my family thought it was way too heavy and kind of overwhelmingly greasy. Plus, Mississippi Pot Roast is NOT a slow cooker roast recipe for those who are gluten free or dairy free or trying to eat more healthfully. The whole point of Mississippi pot roast is that it’s convenient, cheap, and easy to make. Dump the meat in the crockpot-open and add a few packets of stuff, and get that slow cooker beef pot roast cooking! So I had to find substitutes that were as convenient, but gluten free and dairy free, too. Plus, I wanted to find products that were more wholesome and less “fakey-fake,” if you know what I mean. 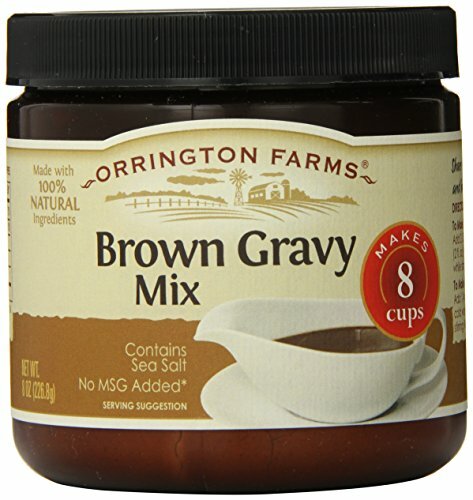 Luckily, if you search your grocery store shelves, you’ll find gravy mixes that fit the bill. Make sure to read the ingredient labels carefully! Instead of ranch dressing mix, which is mostly onion and garlic powder, MSG (eek! ), and a teeny bit of buttermilk, I choose a gluten and dairy free onion dip mix from Trader Joes. I also found several brands at my grocery store that were safe to use. I used a non-dairy buttery spread instead of butter – and used half! You can use a vegan buttery spread if you wish. I also added in some gluten free beef stock for more moisture and flavor. Swanson, Pacific, Progresso, and Imagine are all excellent brands that have gluten free beef broth or stock – but always check the label! Some of their seasoned flavors may have gluten. Stay away from the store brands of broth as they always contain gluten. Finally, I used roasted red peppers instead of pepperoncini peppers as I feel they’re sweeter and prettier. When I made my Mississippi Pot Roast, I had a slow cooker filled with extra gravy – and nothing to eat it with! 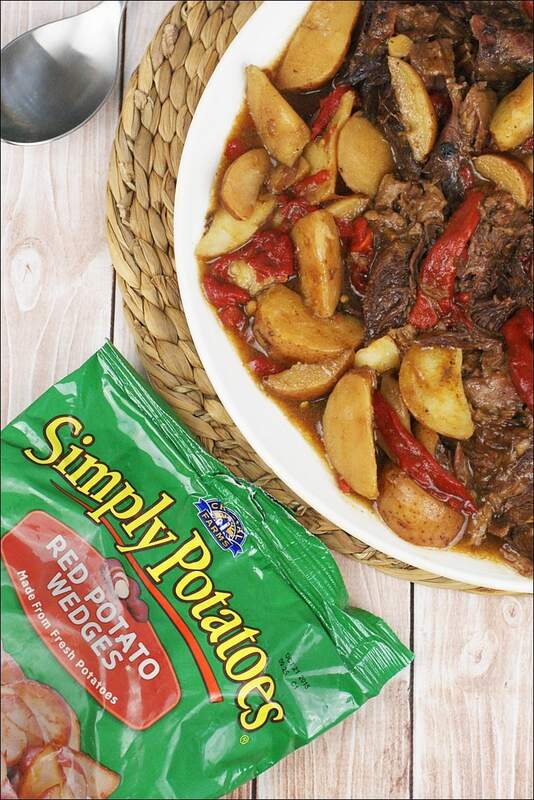 This time, I included some Simply Potatoes Red Potato Wedges in my slow cooker along with my gluten free pot roast. Since they were already prepared, I didn’t have to wash, peel or cut them up. Talk about convenience! All I had to do is open and pour the contents of two bags of the Simply Potato Red Potato Wedges and cook them along with my Gluten Free Slow Cooker Pot Roast. I was a little worried that the potatoes would end up mushy, but they were perfectly cooked. The potatoes will cook along with your beef rump roast and you can unwrap and serve the “baked” potatoes on the side with a buttery spread, chives or sliced green onion, a tablespoon of plain non-fat Greek yogurt, and some salt and pepper. You can also add frozen veggies at the end of the easy slow cooker pot roast cooking process. 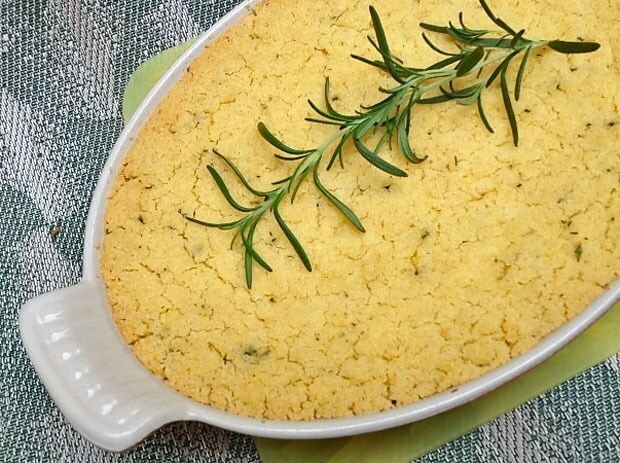 They’ll warm up in the gravy and make a delicious side dish! For easy cleanup, use slow cooker liners. They’re WONDERFUL. Now that I use them, I no longer have to soak my crock-pot overnight and scrub it using Bar Keepers Friend Cleanser and a scouring pad. Stock up on slow cooker liners on Amazon at a great price! If you’re unable to find a 4-5 pound beef chuck roast, two smaller roasts are fine to use for this Slow Cooker Pot Roast recipe. Some gluten free gravy mixes come in jars instead of packets. Check all the aisles and shelves, including the health food and gluten free sections. You may end up with some new favorite brands! If dinner gets delayed, add more gluten free beef stock to your Gluten Free Slow Cooker Pot Roast so it doesn’t get dried out. Leftovers can be revived the next day by adding the leftover beef stock, some veggies and/or gluten free pasta, rice or quinoa for a stew. 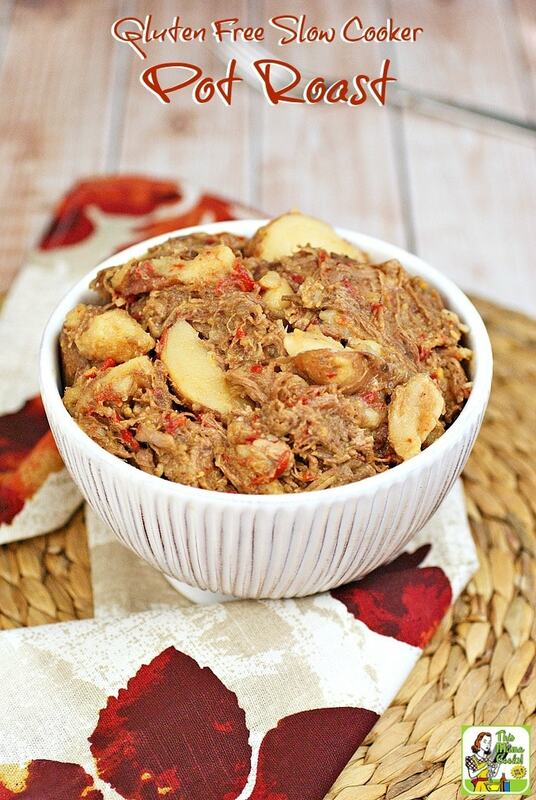 Heat up the slow cooker pot roast leftovers on the stovetop or in the microwave. Place roast in the crock followed by the mixes, the buttery spread, the beef stock, the peppers, and then the potatoes. Cover and cook on low for 8 hours or on high for 4 hours. To serve, remove the meat from the crock and shred. Discard any fatty pieces. Serve the meat with the gravy, peppers and potatoes. Originally posted September 15, 2015. Updated with new pictures. Posted in Crock Pot and Slow Cooker, Gluten Free, Recipes and tagged beef, dairy free, potatoes on May 26, 2016 by Anne-Marie Nichols.